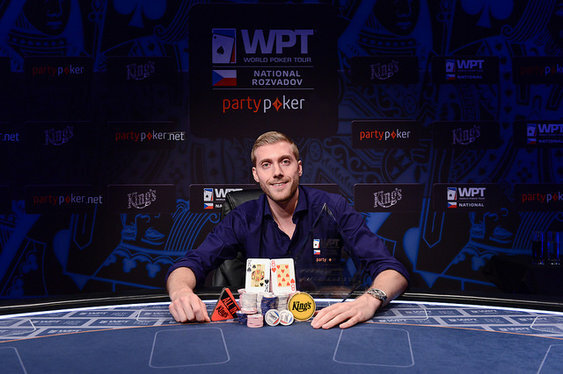 The World Poker Tour's National series hit the Czech Republic over with weekend with Manig Loeser claiming the latest title. A total of 374 players anted up in the €1,000+€100 Main Event but none could match Loeser who took the biggest chunk of the €362,780 prize pool. The German pro has been a mainstay on the European circuit for a number of years now and boasts a tournament CV that includes deep runs in WSOP, EPT, UKIPT and GUKPT events. He added a major title to that impressive resume after topping an international final table in Rozvadov that included players from six countries. After home player Sebastian Kos departed in third Loeser saw off the heads up challenge of Holland's Jeffrey Brouwer to claim his first WPT title and with it a first prize score of €72,000.